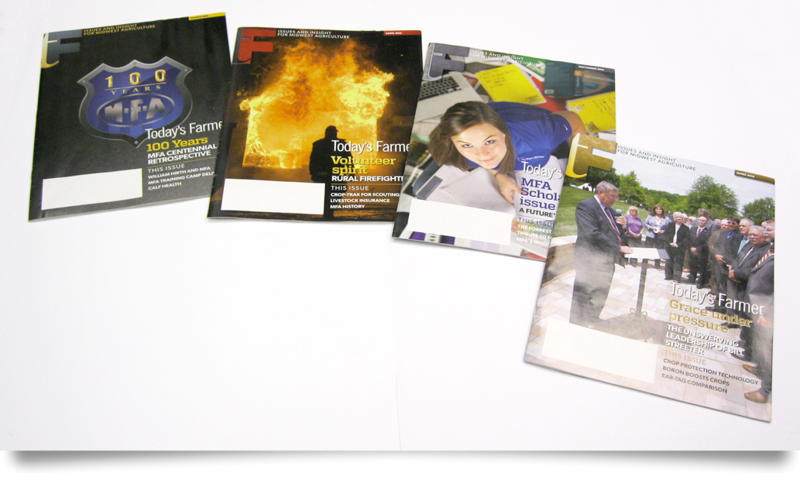 Today’s Farmer magazine is one of the cornerstones of MFA Incorporated, having first been published six years before the founding of MFA. Today it remains a strong voice of agriculture advocacy and support, providing editorial, technical and lifestyle features. 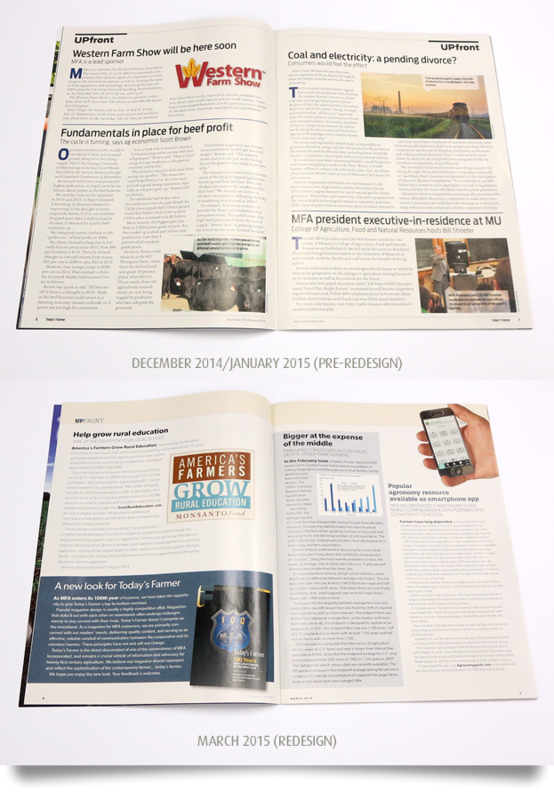 In 2015, Today’s Farmer is in its 106th year of continuous publication. 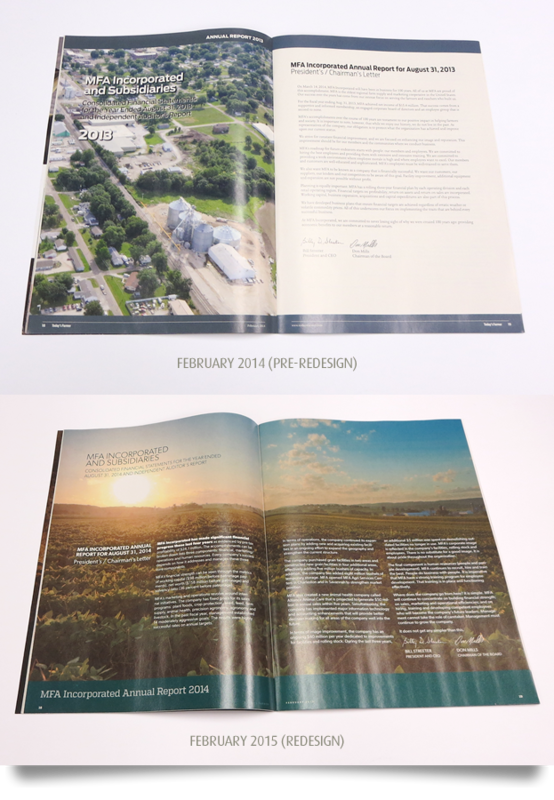 As art director, I have been responsible for designing and producing the print publication for over six years. 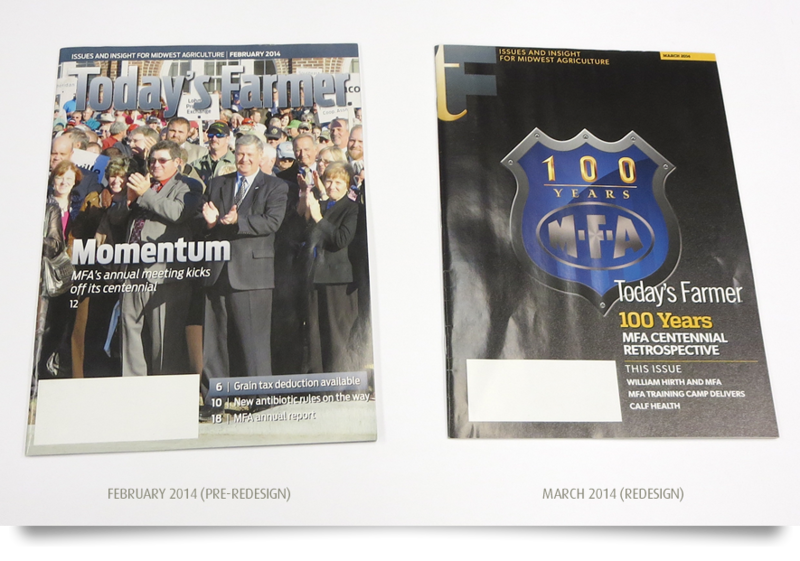 In 2008, before I was hired, the magazine had gone through a substantive redesign, adopting a new flag, typeface specs and some structural evolution. I continued TF for five years under that design scheme until 2014, when it was time for the magazine to be comprehensively redesigned. Although many of the monthly features remained (such as UpFront, Markets, Recipes and Closing Thought), the design of the book was drastically redone, breaking all visual continuity with the previous. 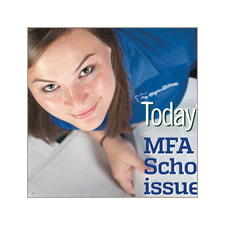 The new design has been received well among members and MFA employees alike. With this new design direction, much greater emphasis is placed on quality photography and more thorough feature coverage. Greater flexibility in type and use of space is also supported in the new design, which gives the book a more upscale and contemporary feel. In addition to design and layout of the magazine, I also assist in copyediting all content before it is uploaded to press.